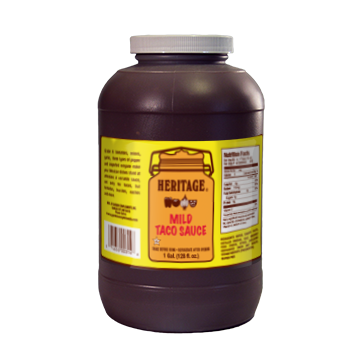 Heritage Mild Taco Sauce -- Garden Complements, Inc. Tomatoes, onions, three types of pepper and imported oregano make your Mexican dishes stand at attention. 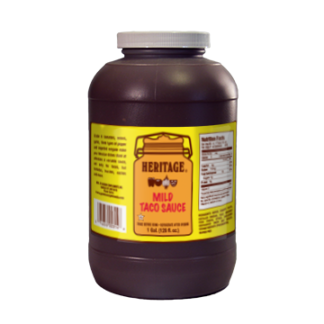 A versatile milder sauce for tacos, but tostadas, burritos, nachos and more.